Ok, confession time: I never played Vice City. 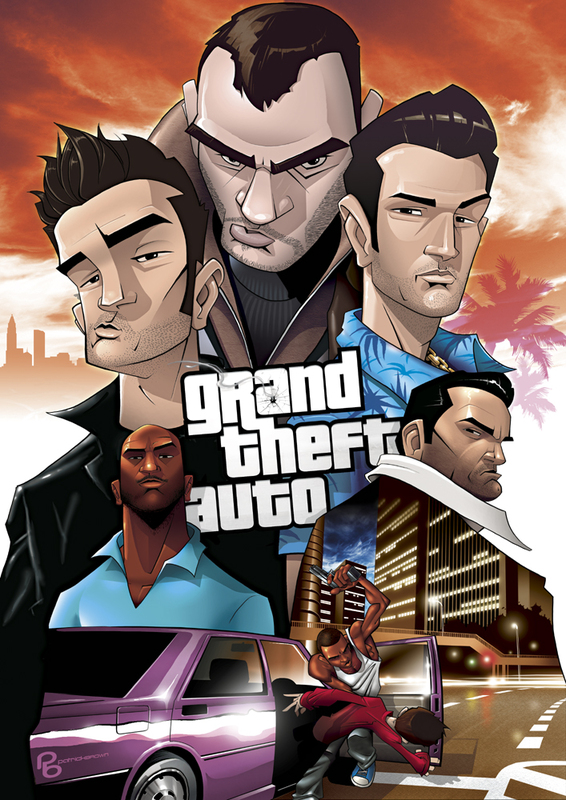 The first Grand Theft Auto I ever played was San Andreas (which I loved and is probably my favorite); I went back and picked up Vice City but I just couldn’t get into it. The graphics threw me. Did I miss a seminal gaming milestone? You see those three bad mutha’s strutting down there? 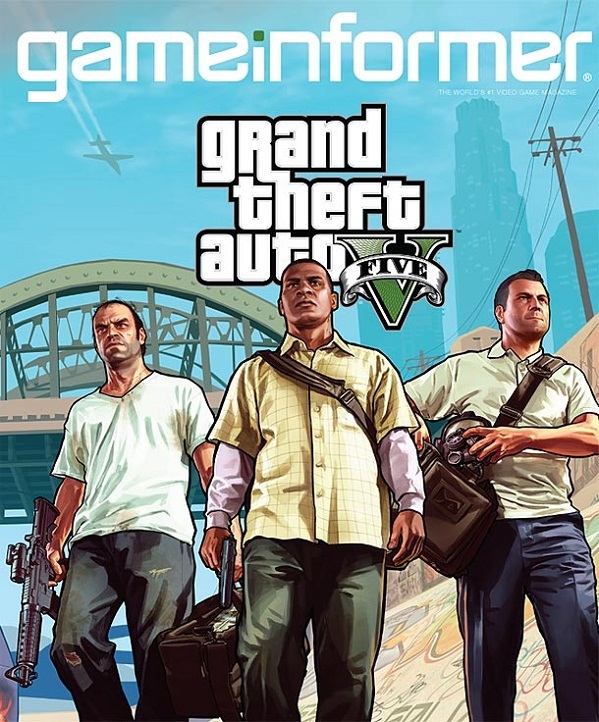 Game Informer says those are your three protagonists for Grand Theft Auto V. Looks like they could do some damage to the faux-L.A. too. Can. Not. WAIT. 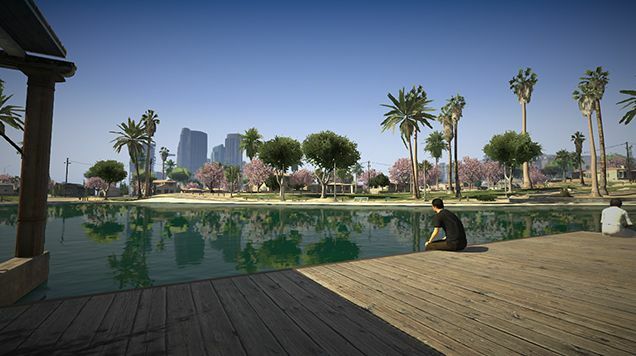 GI also states that this is the largest open world that Rockstar has ever created. Which sounds delightful but also problematic. Do you remember when you fist unfolded the Red Dead Redemption map? 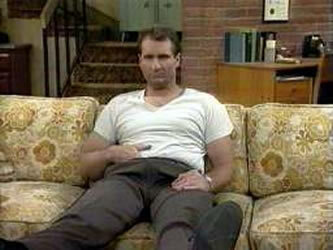 I broke out in a cold stress-sweat. 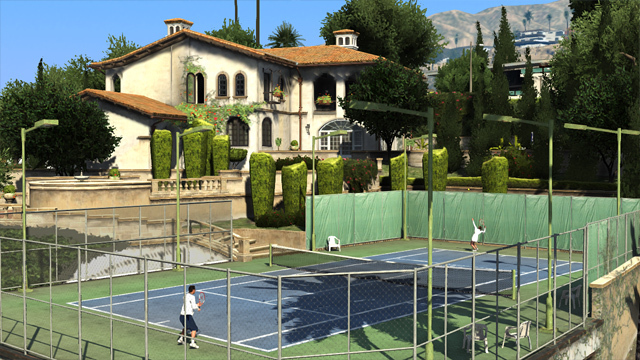 If GTAV is going to dwarf that, I may have to save up some vacation days. 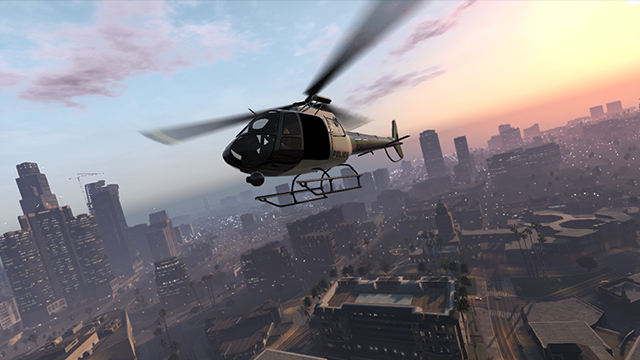 According to Rockstar, Grand Theft Auto V‘s Los Santos is bigger than Red Dead Redemption, San Andreas, and Grand Theft Auto IV combined. Yep. There’s wilderness, a military base, and even an ocean floor to explore underwater. Sometimes they’ll work together on missions, during which you can switch back and forth from character to character depending on which part of a given mission you feel like doing. 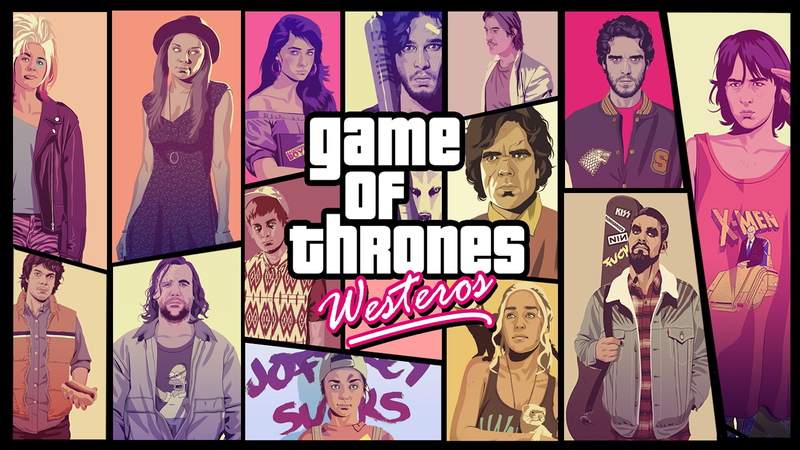 Each character has his own personality, skill set, and group of friends to interact with. And the ones you’re not controlling will go off and do their own thing. 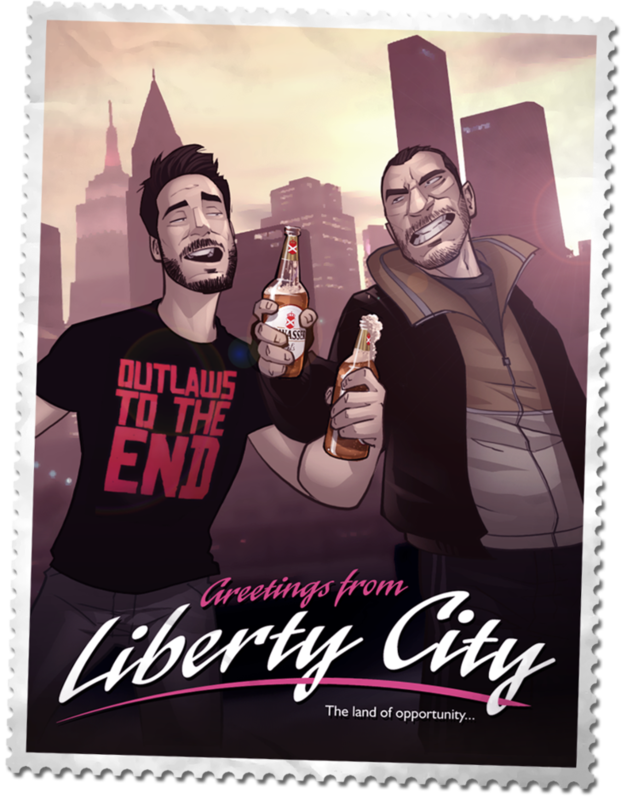 This is the same world as Grand Theft Auto IV and Liberty City, so you might see some recurring characters from those games (just not the major ones, like Niko Bellic). But. 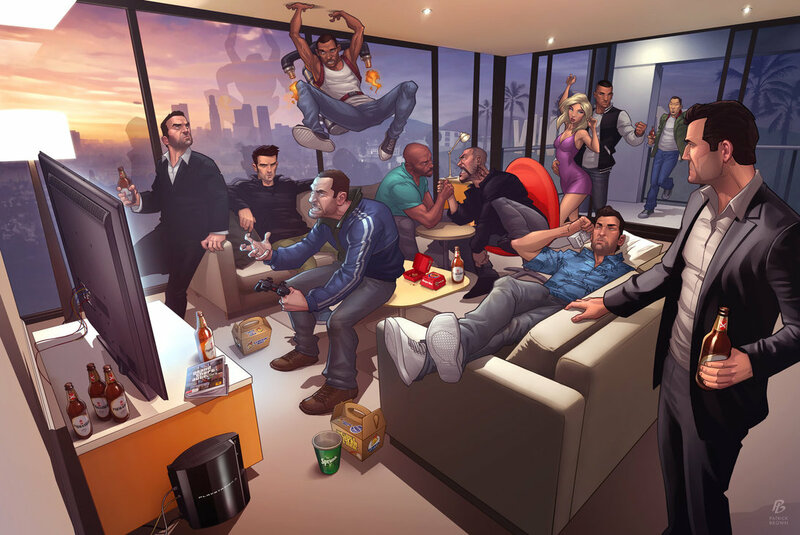 Rockstar says this is the “high-definition” world of Grand Theft Auto, so don’t expect to see anyone from the PS2-era titles. Remember those randomized dynamic missions in Red Dead Redemption? 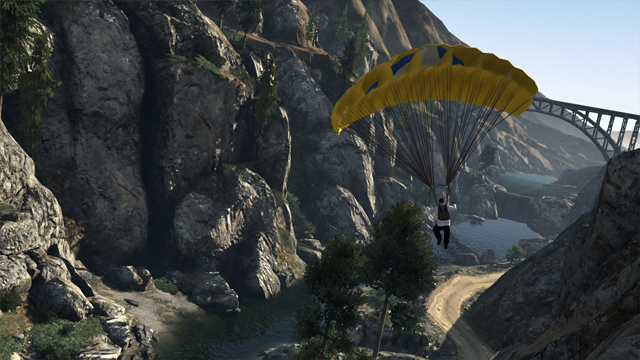 They’re back for GTAV: expect hitchhikers, muggers, and dead bodies, among others. 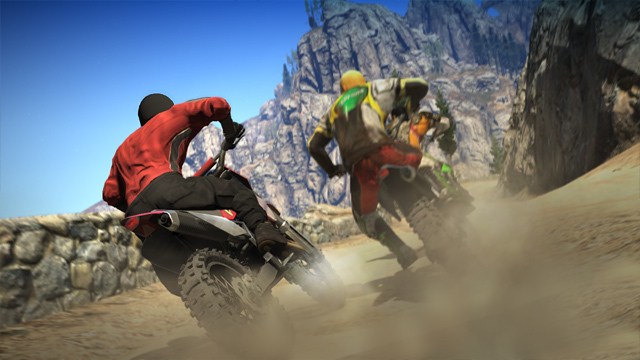 Outside of the trailer (below) from about nine months ago, the only info regarding Grand Theft Auto V has been the odd still here or there. This is the second batch of three released this week, this time under the heading, “Leisure”. Hopefully there’ll be another set on Friday, entitled “Chaos”. 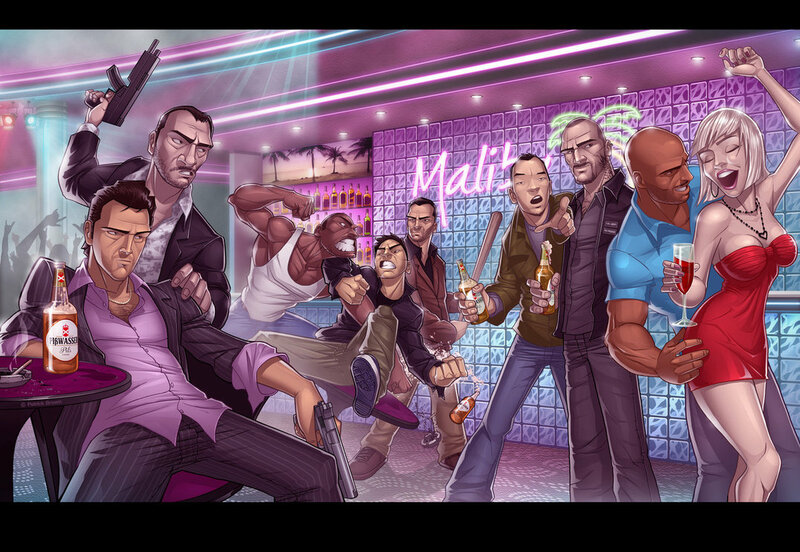 I’m completely blown away by Patrick Brown’s art. He applies a high level comic book art style (think Joe Madureira / Humbero Ramos) to iconic video games and the results…well, see for yourself. 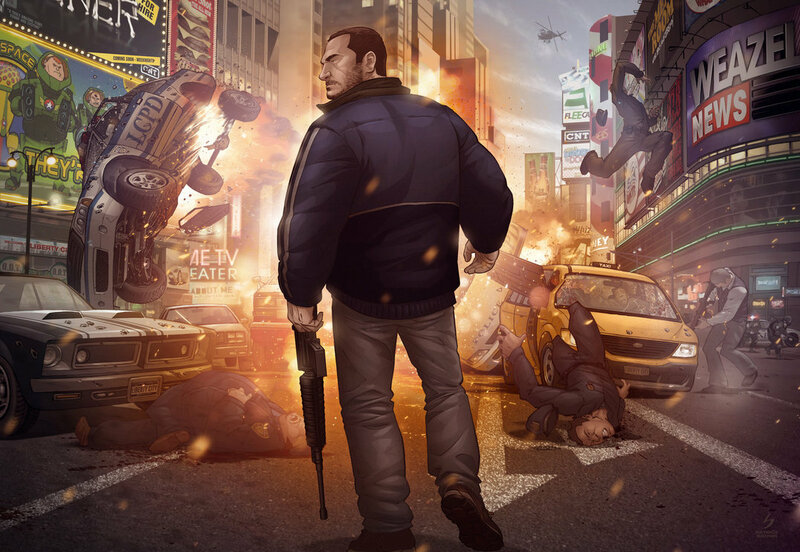 Below is his homage to the GTA series, Grand Theft Auto Legends . 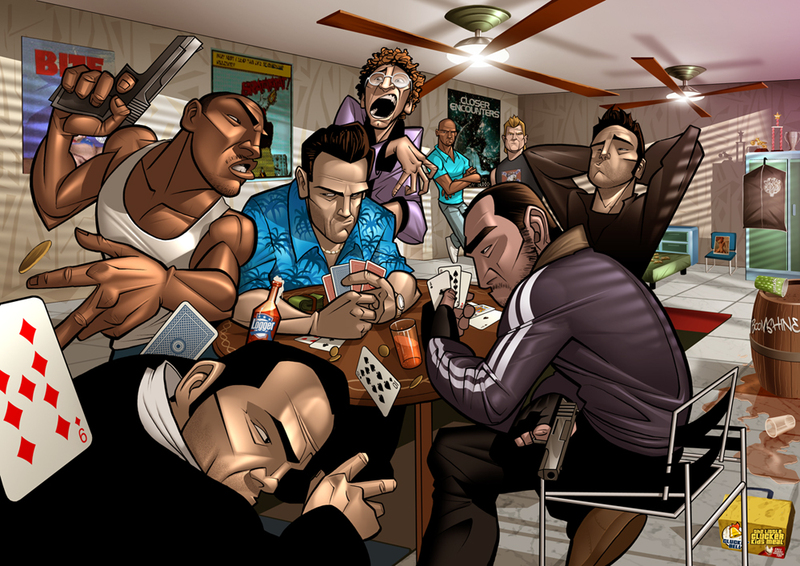 Who can name all of the games featured & their main protagonists?